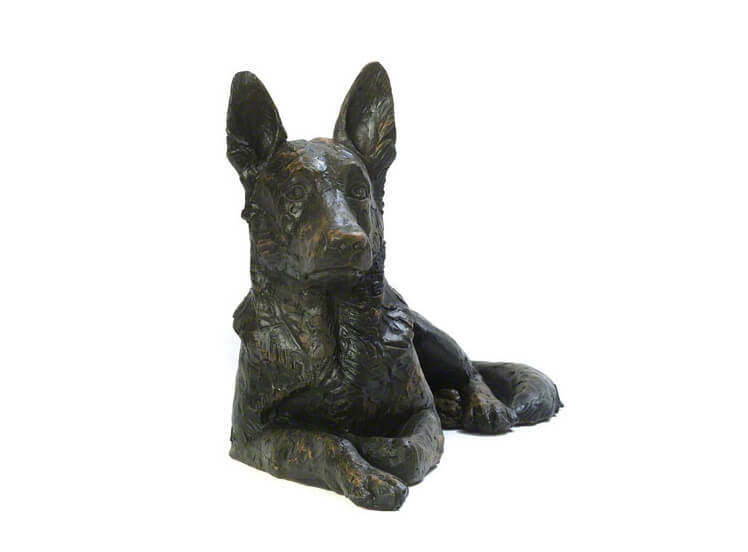 The appealing German Shepherd memorial urn is cast in resin from an exclusive original sculpture. 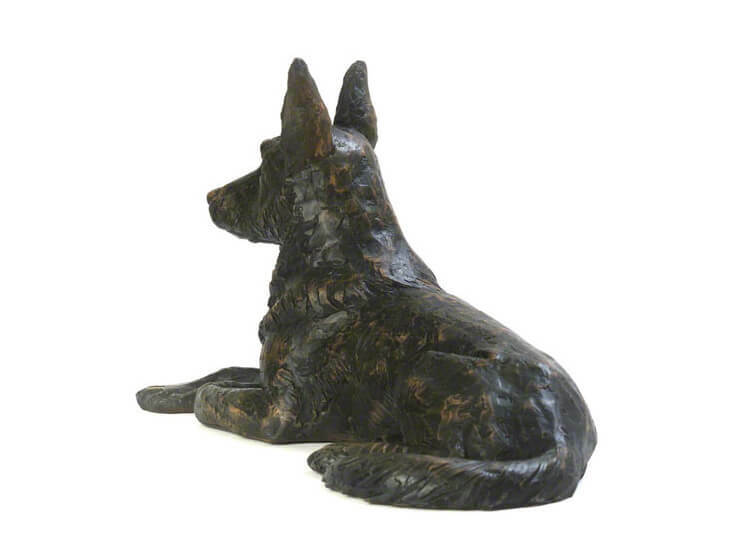 This delightful ashes casket is an appealing and appropriate memorial for a much loved and missed pet German Shepherd or GSD Cross. 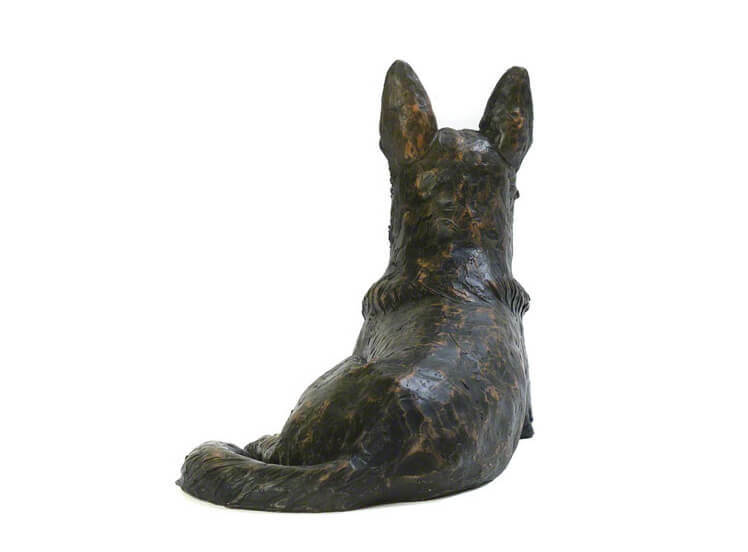 Cast in resin and hand finished to an antique bronze style finish. 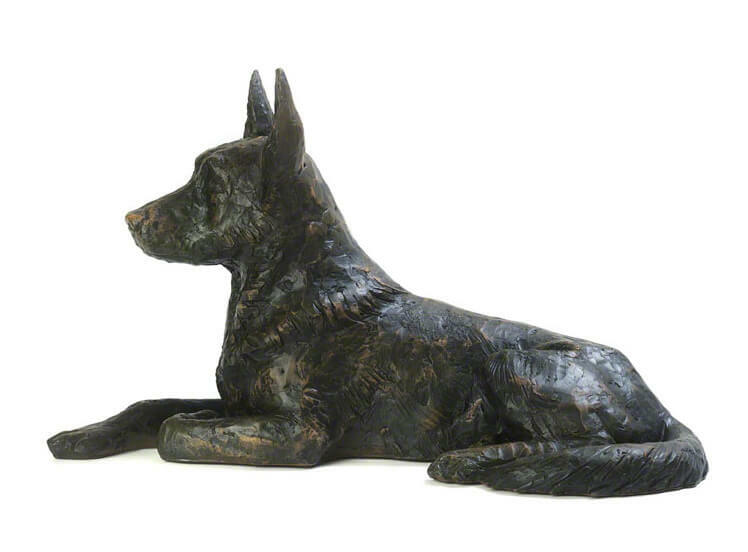 Size: 50cm in length and its height is 30cm. 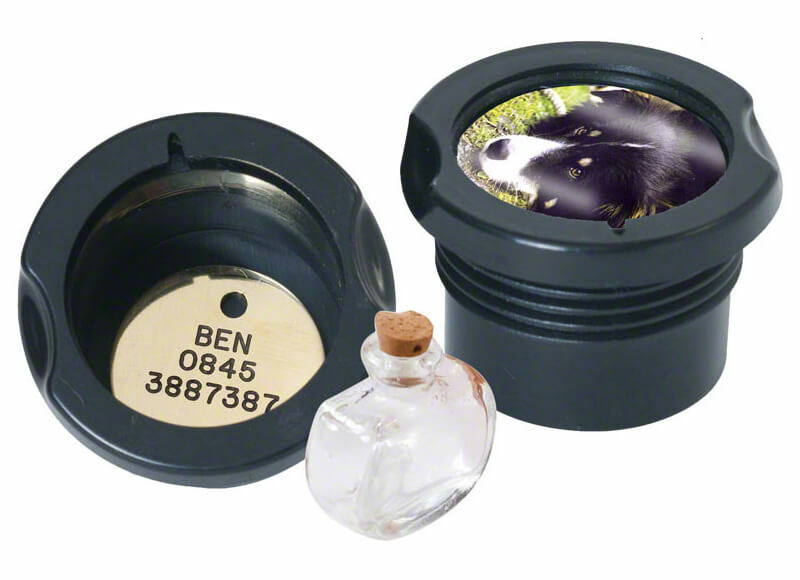 It comes supplied with the memory capsule to incorporate small mementos, name tag, a lock of hair, photo or plaque in a safe compartment in the base of the urn.